Another 100 companies have been accused of fleecing customers across the north of Scotland with excess delivery charges. The dossier that has been sent to the Advertising Standards Authority (ASA) has been compiled less than six months after 124 cases were reported to the same authority. 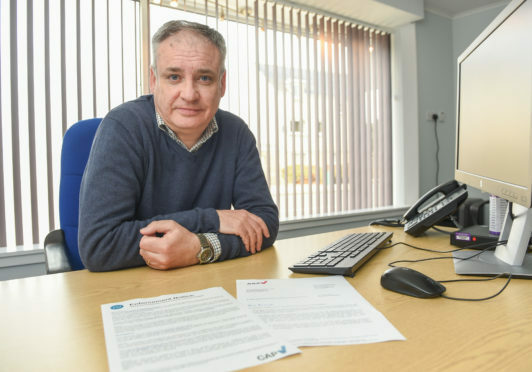 Now Moray MSP Richard Lochhead has said it is time for “concrete action” to end the practice of charging extortionate postage rates for customers in the north and north-east. The latest examples include quoting £30 to deliver a car rear guard to Moray – despite the firm’s website advertising £9.60 for postage to the Highlands and islands. Meanwhile, a resident in Brechin was asked to pay £59.94 to have a radiator delivered although the firm promoted the cost for “mainland UK delivery” at £20 less. It is estimated that consumers across Scotland now pay £36million every year in delivery charges while Citizens Advice Scotland has revealed one in four small and medium-sized businesses are affected by the extra costs. Mr Lochhead said: “This false advertising and discrimination against consumers and businesses in many parts of Scotland have to stop. “It’s completely unacceptable to penalise consumers and businesses because of their locations with some retailers applying absurd surcharges. “I hope the ASA takes action based on my latest dossier – but we need to go further and end this discrimination once and for all. The ASA’s Committees of Advertising Practice (CAP) is now implementing an enforcement notice on advertised delivery restrictions and surcharges against the 124 firms that were reported in January. The procedure demands change from companies that have been highlighted for allegedly misleading customers. The UK Government has already ordered a review into the practice while Scottish Government ministers took part in summit talks with retailers and couriers last month to draw up an action plan to stamp out the exorbitant fees. Talks have taken place about holding an annual “Fair Delivery Day” as well as economic analysis to set “fair” prices for different regions. Last night, the ASA revealed that 97% of the firm’s reported to them in January have complied with enforcement action while discussions are continuing with the rest. Steps taken by companies include removing or amending claims made by them about the cost for delivery.